The Interlogix Wireless Electrochemical Carbon Monoxide Detector will monitor your home or business for the presence of potentially lethal carbon monoxide gas. The device operates at a wireless frequency of 319.5 MHz, allowing it be used with a Simon XT, XTi or XTi-5. Purchase the Interlogix 600-6520-95 here. The Interlogix 600-6520-95 is a wireless electrochemical carbon monoxide detector that is used for monitoring buildings for dangerous carbon monoxide gas. Carbon monoxide detectors are critical for any home or business because of the life-threatening risks that CO gas can present. The 600-6520-95 will constantly monitoring the environment for its levels of CO gas. When unusually high levels of carbon monoxide are detected, the device will alert the system before the area reaches unsafe levels. This is accomplished using the electrochemical sensor that is built into the device. The 600-6520-95 takes action extremely quickly, as it will transmit a signal to the alarm system within 15 seconds of detecting the carbon monoxide gas. 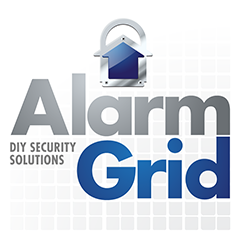 The alarm will be automatically reset once CO gas is no longer being detected by the device. The device contains a test/quiet button, an integrated sounder and two LED lights. The red LED light is used to indicate an alarm, while the green light shows that the device is powered on. In addition to sending alerts about CO gas, the 600-6520-95 will also transmit signals regarding low battery. The device will also produce audible and visual alerts for end of product life, trouble/service, error conditions and tamper cover activations. When choosing a location for CO detectors, we recommend considering bedrooms and large central living areas. There should be at least one detector on each level of the home. Poor locations for CO sensors include furnace rooms, laundry rooms. kitchens and garages. It is also important to not place the 600-6520-95 in locations that get colder than 40 degrees Fahrenheit and hotter than 100 degrees Fahrenheit. Will Interlogix/GE Sensors Work on an Interlogix Simon XT?